URBACT City Festival 2018 is a highly subscribed event. More than 700 people registered. General registrations are now closed. Applications received are being selected. Confirmed participants will be invited to the second phase of the registration process. On 13-14 September in Lisbon (PT) city practitioners, elected representatives, urban experts from all over Europe will work together, discuss the findings of 20 Action Planning Networks, and celebrate the 15th anniversary of the programme and the rising influence of cities as actors of change in Europe. 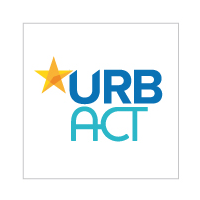 More than 700 people have registered to URBACT City Festival 2018. General registrations closed on 30 June 2018. During the summer, news will be published on the festival website: 2018cityfestival.urbact.eu and on the dedicated Facebook event. Keep in touch!